This undated photo provided by the University of California Santa Cruz shows Jerry Nelson, an astronomer who designed advanced telescopes that help scientists glimpse far reaches of the universe. The University of California, Santa Cruz, where Nelson was a professor emeritus, said Nelson died June 10, 2017, at his home. Jerry Nelson, an astronomer who designed advanced telescopes that help scientists glimpse far reaches of the universe, has died in California. He was 73. The University of California, Santa Cruz, where Nelson was a professor emeritus of astronomy and astrophysics, said he died June 10 at his home. No cause was given. Nelson's design using dozens of segmented mirrors rather than a single large one was the basis for the Keck Observatory's twin 10-meter telescopes on Mauna Kea, a dormant volcano in Hawaii. Those telescopes, among the largest in use, have allowed scientists to measure the black hole at the center of the Milky Way and to spot planetary bodies outside our solar system. "Jerry's impacts on the field of astronomy and astrophysics are legendary, and we will all benefit from his legacy for many years to come," said Claire Max, director of UC Observatories. Nelson's concept has since been used for other large ground-based telescopes around the world. The space-based James Webb telescope, which is under construction, also has a segmented primary mirror design. Nelson also played an important role in the development of adaptive optics technology, which sharpens the images from ground-based telescopes by correcting for the blurring effect of Earth's atmosphere, the university said. Even after a stroke in 2011 that left him partly disabled, Nelson continued work for the Thirty Meter Telescope, a project to build the largest telescope in the Northern Hemisphere. 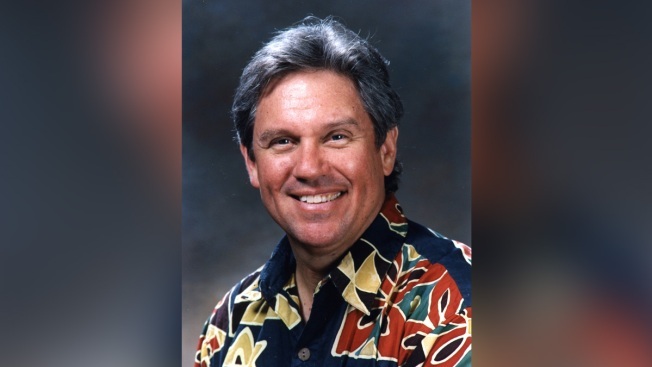 "His endless curiosity always pushed the scientists around him to think more deeply, and his persistence and continued excellence after his stroke were inspirational to everyone," said Michael Bolte, a professor of astronomy and astrophysics at UC Santa Cruz. Born near Los Angeles, Nelson earned an undergraduate degree from the California Institute of Technology and a Ph.D. in physics at UC Berkeley, where he taught for years before moving to Santa Cruz. He also worked for more than a decade at Lawrence Berkeley National Laboratory. Nelson is survived by his wife, sister, two children from his first marriage and three grandchildren. His first wife died in 1992.